One morning in 1974, Gary Loomis stood outside Boeing Headquarters, in Seattle, WA, and asked everyone that came through the gate if they knew anything about carbon fiber. He eventually found someone who would sit down and talk. Tens of thousands of rods later, Gary Loomis was inducted into the IGFA Hall of Fame for his contributions to the fishing rod industry. Few people know as much about building fishing rods as Gary. But Gary will also tell you that he didn't build a single rod himself. Instead, he worked alongside the best guides, dealers and craftsmen the world over. Edge Rods continues that legacy today. Gary, and many top guides, dealers, and craftsmen have signed on to bring you another round of exceptional fishing tools. So here’s to the past, the present, and the future. Fish on! IM: The core material at Edge. Our IM provides a performance level that “punches above its weight,” while still having “everyday” fishing toughness. IM is a great choice for a wide range of blanks. HM: When even our IM isn't good enough. This is a high-modulus, Paper Carbon Scrim (PCS) material that creates a truly exceptional blank. Want the best possible performance from your blank? Here you go. "Raw Carbon". All of our blanks come in what we call raw carbon - no added color, coating or weight. Our blanks are sanded with a 15-micron grit and then smoothly buffed. We feel that such a pure, unadulterated finish allows our blanks to perform at their unencumbered best. 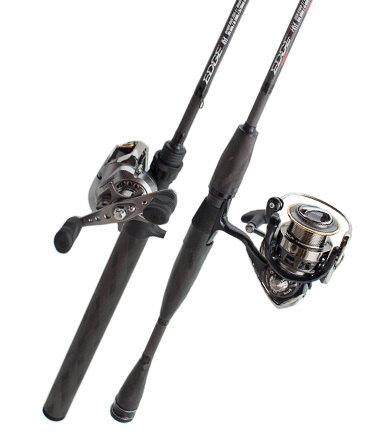 The Black Widow series is the flagship offering from the Edge Rods arsenal. With the introduction of new technologies and design a faultless series of rods have been created that offer unsurpassed sensitivity to the angler. Exclusive to Edge the Black Widow Handles, made from 100% carbon fiber, also deliver increased sensitivity over cork, EVA or carbon fiber wrapped alternatives. The Black Widow Handles paired with the high performance HM & IM blanks put these rods into a class of their own!! 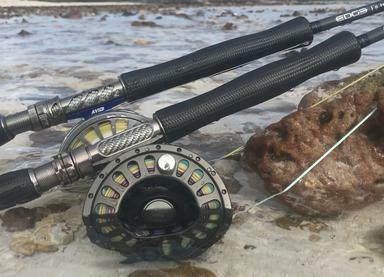 The First Strike series is the newest offering from the Edge Rods line-up. 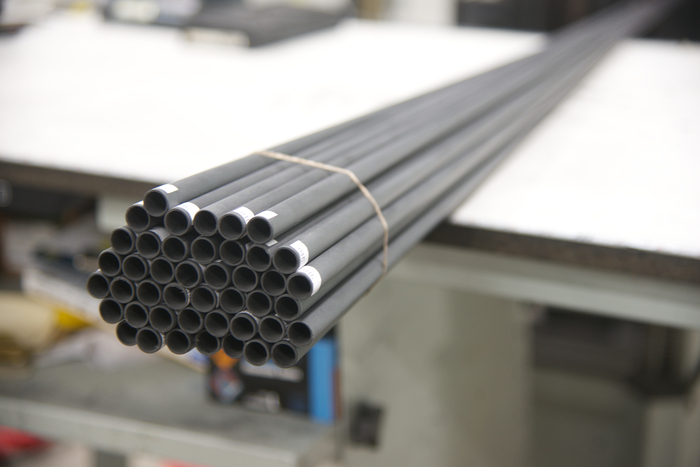 Each high quality IM Graphite blank is meticulously hand-rolled and finished in the Edge factory, yielding a powerful and durable series of rods any angler would be proud to own. Also equipped with lightweight proprietary reel seats, comfortable braided carbon-fiber grips deliver increased sensitivity over cork, EVA or even carbon fiber wrapped alternatives. Never miss a strike with the new Gary Loomis Edge First Strike Casting Rods!! EDGE Gamma Alpha(ΓΑ), moderate action and Gamma Beta (ΓΒ), fast action performance fly rods bring to life the vision Gary Loomis had early on in his career, finally, technology caught up with his imagination. Created in harmony with the Temple Fork Outfitter’s Advisory staff, a project more than two years in the making, these lightweight, stunning, precision tools are the closest thing you will find on the market resembling custom-built fly rods. No detail has been overlooked. Typifying performance and available in two distinct actions, these are most responsive and efficient fly rods on the market. For anglers seeking something special and high-performance, these are the answer!! !